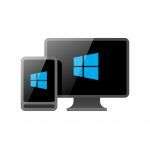 Mobile Connect utility software allows you to connect and transfer files from your Windows 10 PC to and from your Windows Mobile handheld. Use with the Allegro 2, Archer 2, Allegro MX. Other handhelds may be compatible. A 7-day trial is available to verify compatibility.